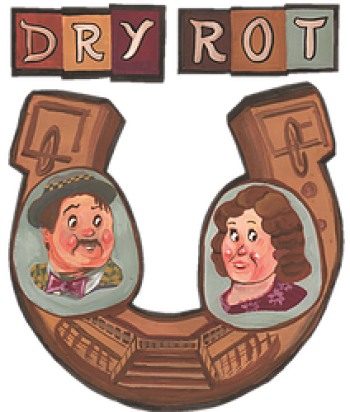 CTW’s Spring Show in 2016 was Dry Rot, by John Chapman. The play is a traditional farce about a bookie and his runner who are trying to throw a race and win themselves a fortune by substituting a nag for the favourite horse. They stay in a guest house run by a retired colonel and his wife which is complete with secret panels, horses hidden in the basement, and dry rot in the staircase.